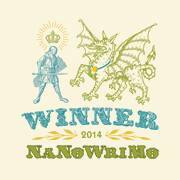 ← RS: Bonus Blog – NaNoWriMo Success! Good morning folks. Given content of Saturday’s post I’ll be using this, the 700th post to this blog to talk about how I feel (yes, I know, 700 posts! Would have been a special kind of treat to do my launch post on such a milestone, but hey-ho). That’s an odd thing and I promise you I won’t do lots it (now or in the future), but part of the process of submission and waiting is the learning that goes with it. And not just about the process or the logistics of what’s happening at the moment, but understanding what’s going on inside my head. For those of you who don’t know what’s going on, this post explains it in more detail. In brief, my plans to self-publish my debut novel have been temporarily placed on hold following interest from a local, mid-range publisher. Great news, right? I was invited to send the manuscript and why shouldn’t I? Why wouldn’t I? I’m not in a position in which I feel the need the viciously guard my earnings, refusing to split profits with a publisher who does nothing but give me a cover and an editor (because that’s not all they do, by the way). No, no. If I talk to you for a moment as Da Shared Brain, then Silk Over Razor Blades would be my fifth release over the past 13 months. It’s only me, as Ileandra, who has taken all the time and been so slow. So what’s waiting a bit longer? It’s hard, is what it is. When I was flapping about the submission in the first place and hovering my finger over the mouse to hit ‘send’, I realised that while I’m confident that I have done the absolute best I can with the novel (with my current resources and skill set), submitting it to a publisher is a new level I hadn’t expected to deal with. Do you recall – ha! 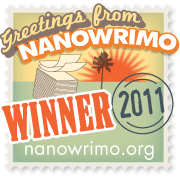 – about this time last year when I finished drafting the novel in the first place? If you didn’t know, Silk Over Razor Blades was last year’s NaNo Novel and that made (probably) my seventh attempt at writing the damn thing. November 2013 was when I decided that enough was enough; that would the final version or I wouldn’t publish it at all. Roll forward twelve months and after putting so much effort and money into self publishing, I’m still not able to do it. So… did I submit to ensure that I had no choice but to wait for a response? No. Am I frightened that I’m good enough to self-publish but not good enough for traditional publishers to want me? I’m not sure. And I’m aware it doesn’t make sense. I know it opens an ugly can of worms about my own inner opinions on self publishing and traditional publishing. I know and it frightens me because this isn’t something I was consciously aware of. What bothers me more than that is that I have absolutely no idea what response I want. Do I want Angry Robot to take the novel (and potentially the other two! ), give me a deal and bring me into the fold? Or do I want to plough a furrow of my own, publish with through Little Vamp Press and to hell with the constraints of traditional publishing in any form? Both are incredibly attractive options to me and both are very much possible. But I don’t know which I want. So… basically this post has been babble. Brain vomit. I’m sorry about that o.O but I want to share this with you because 1) I’m a fan of honesty and openness about this kind of thing. 2) I think somebody, somewhere might somehow learn something from it, or take away something that aids them in a small way. 3) I need to say it ‘out loud’ to secure the thoughts in my head. The problems I’ve had over the past couple of weeks have been mainly down to the fact that I can’t articulate what I feel. This is how I do that. This entry was posted in Ileandra's Posts, Silk Over Razor Blades and tagged Angry Robot, how do i feel, Ileandra Young, postaweek2014, silk over razor blades, the waiting game, what should i do next?. Bookmark the permalink. I think that traditional publishing does offer you a way to reach a lot of new readers. When you have a lot of readers, you can perhaps negotiate better terms for your next release via traditional publishing. You can also self-publish with a chance of those readers carrying over, particularly if you’re penning a much-anticipated sequel. I don’t know much about the publishing industry, admittedly, so it may not be as simple as all that. What I do know is that it’s easy to dawdle while waiting for a response one way or the other. It’s easy to get emotionally invested in something that you’ve spent a lot of time on. I guess that part of being a writer is learning to move on from things which are ‘done’ – I know that I’m still a novice in that regard. So… The gist of my response was simple that becoming a mix of both traditionally published and independently published is a grand way finding crossover and building a loyal readership. Just because, it seems to me, that each method has a different reach. However if I had a large readership, it is possible that a traditional publisher might be open to negotiations. Maybe. Unlike if it’s a very large publisher though, which is why plenty of independently published authors I’ve heard of reject deals from traditional publishers – why would they give up complete control and all the £ for a crappy deal from a greedy corporation that just wants to ride on their success? Something to think about. As it is, I’m still waiting for a response, so this continues to plague on my mind each Monday when I resign myself to another week of waiting. But you’re right; moving on is very much the cure for the ‘waiting for responses blues.’ I printed the sequel to the book in the week. And I read it through in preparation for edits. Ha, that should keep my mind off it!